In the last three years, Philly police are exercising their ability to “stop and frisk” citizens less frequently. But according to the ACLU, they are still doing it without just cause. According to Philly.com, the department says the stops aren’t illegal or even a problem, but the documentation after the fact may be. The ACLU along with a local law firm filed a report in federal court stating that the number of stop and frisks dropped 15% from 253,000 in 2009 to 215,000 in 2012. Their report indicated, however, that 45% percent of those stops amounted to 4th Amendment violations, as unreasonable searches and seizures. These types of stops must be made with probable cause or reasonable suspicion that a crime is being or has been committed. The stops being made by Philly cops are said to often have neither. Only 5% of the stop-and-frisks resulted in arrests and less than 1% led to finding guns or other weapons. This isn’t a new issue in the city. 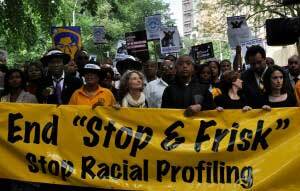 A lawsuit in 2010 charged the city with unfairly targeting minorities with their stop and frisk policy. In 2011, the city agreed to procedural changes. They reviewed training and created a database of stop reports, which is what the ACLU drew from for their recent filing. One would think that if the problem were as simple as documentation, it would have been covered in the new training program or could easily be revisited with memos and reminders at roll call. The Department maintains the officers are simply not articulating their reasons behind stop-and-frisks well enough. ACLU data also shows that the stops are being executed among racial minorities at a far greater rate than whites, a troubling but unsurprising fact. In a two month window, the ACLU found blacks made up 84% of marijuana arrests while whites made up only 6% in the city. This despite whites using marijuana at higher rates than blacks. Mayor Nutter, prior to reading the report, said that the city will do what’s necessary to “train and retrain” officers in an effort to ensure they are using this tool in an “appropriate, legal, constitutional fashion”. It isn’t clear if he will see the data as a clear sign that something significant must be done. Being unfairly targeted by the police is not a rare occurrence. Whether they single you out because of how you look or where you are, you have rights when you are tangled up in the criminal justice system.